A great introduction to the beautiful medium of glass mosaics! 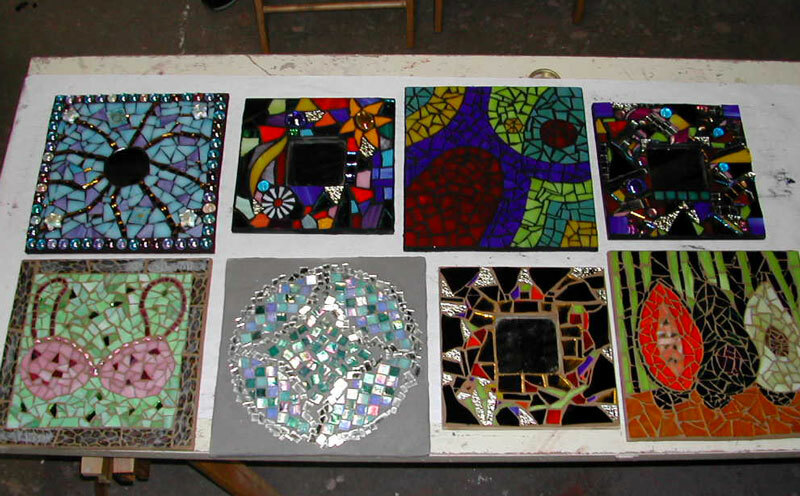 In this beginner-friendly class, students will design and create their own glass mosaic piece. Class will focus on design, introduction to different types of glass materials used by contemporary mosaic artists and surfaces suitable for glass mosaic projects. Instructor will demonstrate the proper use of glass cutting tools and how to cut and shape glass for different effects. Various techniques for setting mosaic will be demonstrated as well as an in-depth presentation of best practices for technical construction, including use of the proper substrates/ surfaces, adhesives, grout and their appropriate applications. Instructor will present a literal visual encyclopedia of glass mosaic materials available to mosaic artists today - from low end recycled materials to high end specialty materials. Students will have plenty of colorful glass materials to work with for their projects. Sample designs will also be offered for student use, or students can bring in a design or design inspiration and instructor will asset with adapting for use for class project. Students will create a glass mosaic project to take home for interior display. No experience necessary, beginning and returning students welcome!